Island Rx was the first product we developed. With over 100 initial versions, the product was developed for Wendy Steele after her bout with Melanoma. The basis for Island Rx is a 300 year old Castile soap recipe with holistic and naturopathic influences in the form of healing essential oils, a Micelle that resembles the antioxidant properties of natural glacier water and the addition of softening oils like avocado, jojoba and the power of Aloe Vera. 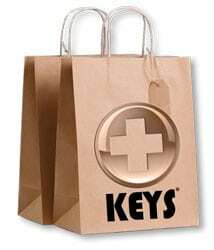 Keys customers have reported the reversal of common skin disorders like eczema, dermatitis, psoriasis, acne and skin allergies after just a few uses.